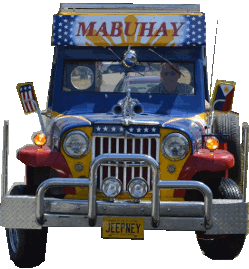 If you know of any jeepneys in the US not included, please email us at jeepneys@usjeepney.com! 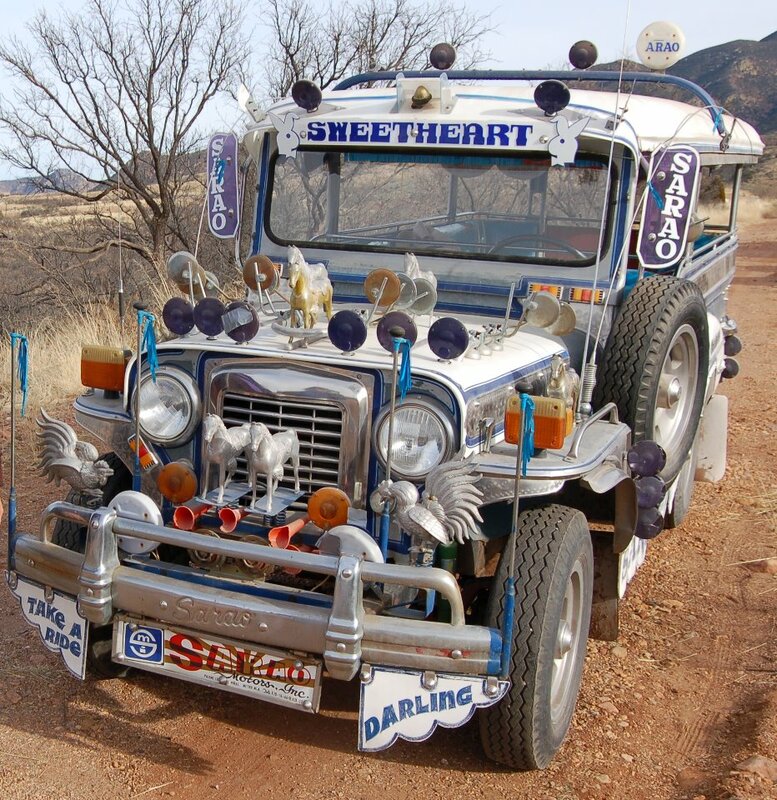 We'd love to include you or the jeepney you've found. Many thanks to Randy Palmer of FAAIE, who told me of 4 of these and sent pics! 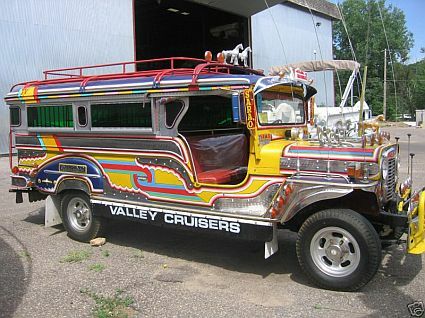 Commissioned from Sarao Motors, the most famous of the Jeepney makers in the Philippines, by the Filipino-American Association of the Inland Empire and imported by them. 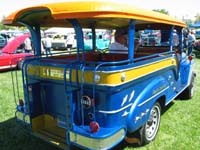 Used for intercultural events. 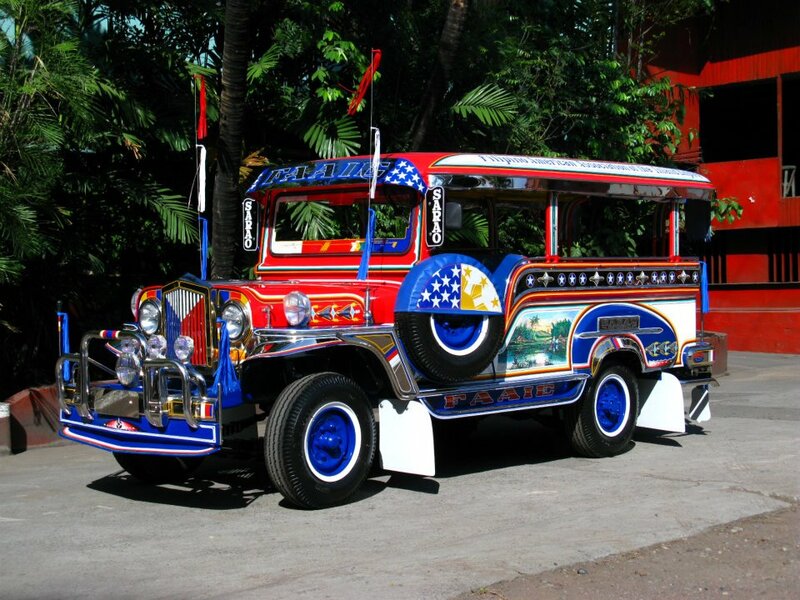 "Mr Jeepney" is a jeepney imported from the Philippines and used by the Icon group for marketing. The Icon Group is a noted recruiter of foreign medical professionals. 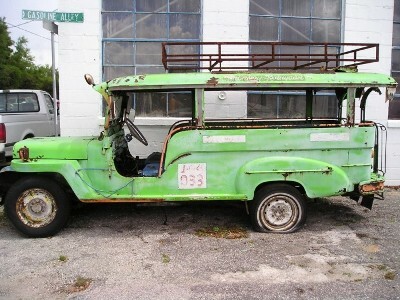 It acquired the Jeepney for use when Icon exhibits at Human Resource and Hospital Conferences. 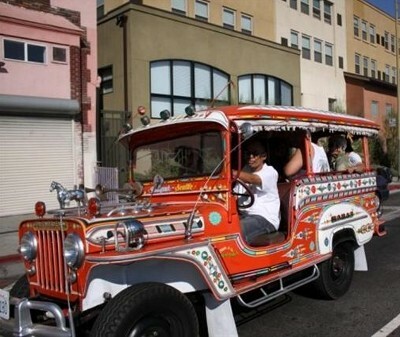 The Jeepney's purpose is to draw crowds of potential clients at these events, and draw the crowds it certainly does! The page linked to below was last updated in 2005. 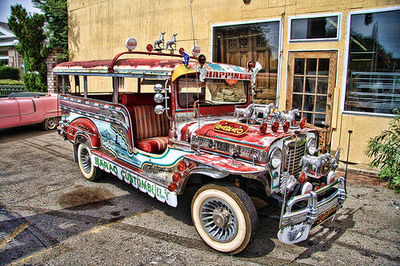 Manila-style Jeepney, which is a rare original 1942 Willys based jeepney fabricated by renowned Jeepney builder Sarao. It was bought by Tombstone Pizza in 1985 who installed a '82 Buick V6, 12 volt ignition system, and automatic transmission to the roadster. Sold on eBay 2007 to someone with username Twostrokes48 who now has it in San Antonio. 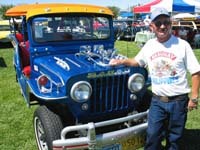 He said he did a lot of work to make it safe for highway speed - disk brakes, power steering, etc. 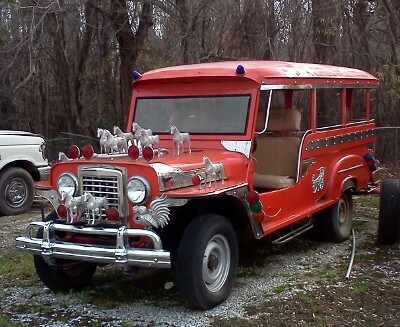 Ebay listing price was 15,000. Current owner takes it to motorcycle rallies and other events around San Antonio. This poor thing was a rusted bucket of bolts found in Frostproof, Florida at a place called OÃÂÃÂ¢ÃÂÃÂÃÂÃÂHaraÃÂÃÂ¢ÃÂÃÂÃÂÃÂs Restoration. Unknown how the restoration is going. 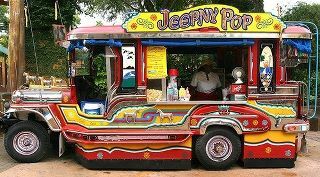 Universal Studios in Orlando Florida has a jeepney converted to a popsicle wagon. 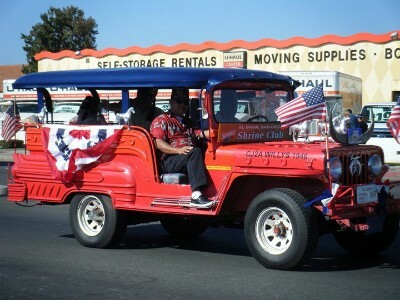 1957 Sarao Jeepney for sale in Las Vegas in 2005 - asking $20,000.